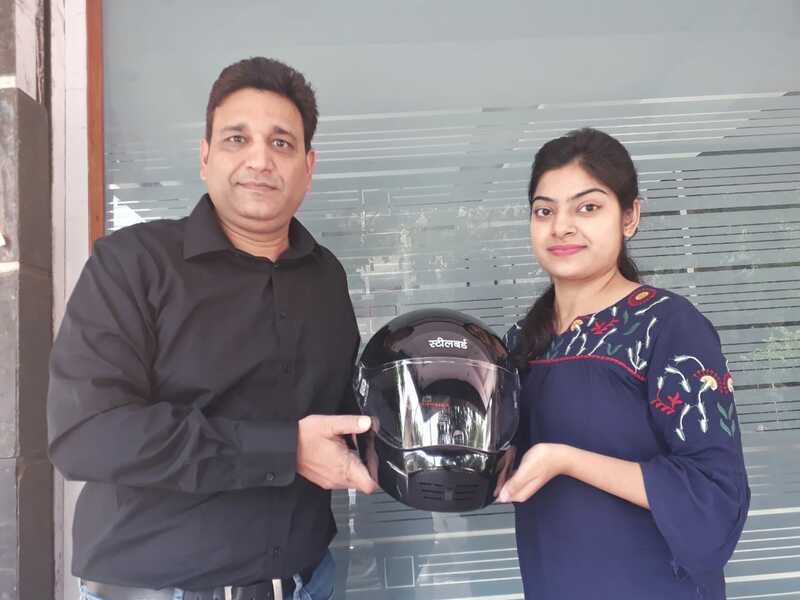 On the eve of Hindi Divas, Steelbird Helmets, Asia’s largest Helmet manufacturer came out with a limited edition helmets printed in Hindi “स्टीलबर्ड” to distribute among two wheeler riders in Delhi & students of Bharti College. The helmets were exclusively distributed to the students of Bharati College which is situated in Janakpuri & two wheeler riders in different locations of Delhi for Free of Cost. This initiative by Steelbird Helmets also promotes the use of ISI Helmets amongst the college students & other riders. “Steelbird Helmets promotes the Hindi language and we are honored to distribute the limited edition helmets to the college students and Two wheeler riders free of cost. Once again Steelbird helmets is first to come up with such a campaign to promote Hindi language. Our aim is to make people & students aware that Hindi plays a significant role in connecting the citizens of India.” says Mr. Shailendra Jain, Global Group Head - Sales & Marketing, Steelbird Helmets.